Five years ago, Gao Danyi, a Ningbo-born industrial designer who was educated in Singapore and the UK, left that profession to become a kitchen apprentice. Five years ago, Gao Danyi, a Ningbo-born industrial designer who was educated in Singapore and the UK, made a decision that surprised everyone: to leave that profession to become a kitchen apprentice in a five-star hotel in Shanghai. Her daring adventure paved a new career path, as she worked her way up in the city’s kitchens to eventually co-found her own restaurant, Shake, in 2016. 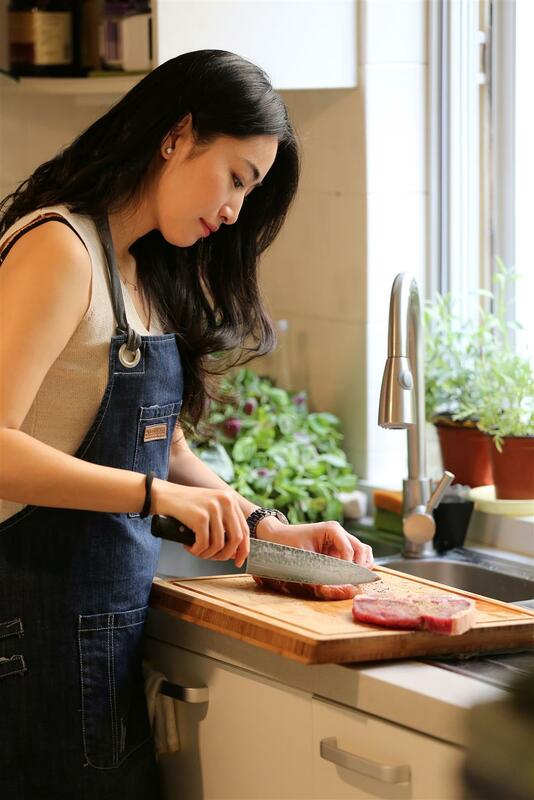 Recently, Gao, with no culinary education background, defeated experienced professional chefs and won the grand prize on famous Hong Kong actor Nicholas Tse’s travelogue cooking show “Chef Nic,” receiving 1 million yuan (US$157,840) in investment capital for her next culinary project. Gao Danyi (right), Nicholas Tse (center) and Xing Wei on “Chef Nic.” Gao won the grand prize of 1 million yuan investment capital on the travelogue cooking show. Born in 1988, Gao studied design in the UK for a year and came back to the China Academy of Art to focus on industrial design. “I found that food is an essential part of my life, I love spending time in the kitchen, reading recipes books and researching online, the more I explore, the more I found myself shifting toward this direction,” said Gao. Initially, Gao dropped everything in design with the goal of getting into the prestigious Culinary Institute of America. One of the admission requirements is a minimum of six-month experience in professional kitchen. Her family didn’t agree with her choice, though they weren’t strongly opposed. “Some friends and family thought I wouldn’t last a week in the kitchen, a friend of mine even said ‘I feel sorry for you, if you need a job, I can help you, you don’t have to do this’,” Gao recalled. A low-level intern, Gao started from the basics, from peeling potatoes to processing cold dishes. The first week was the most difficult, she was quite behind physically and standing for more than 10 hours every day was not easy. When Gao finished the six-month internship and planned to apply to the culinary school, the chefs she was working with told her that if her goal was to gain experience in the industry, going to school and working in real kitchens were very different. “A lot of times the chefs are right, because the problems you have to deal with in the kitchens are not taught in school, the teachers only tell you what to do by the book, but you can learn so much in the real world,” she said. Gao then went to work at Mr & Mrs Bund as an apprentice. Working there was very different to what she experienced at the hotel. The kitchen is only part of the hotel’s operation and there are many departments and rules to ensure smooth operation, but at Bund 18, the kitchen is the sole focus. Gao then went to work at Le Sept, a French restaurant in Shanghai. But her goal wasn’t to become a famous, professional chef, she was only accumulating experience so one day she could open her own restaurant. “I wanted to learn the basics because I’m passionate about cooking, I wanted to become a boss, not a chef,” she said. In five years time, Gao, with no culinary education background, worked her way up from a kitchen apprentice to opening her restuarant. Gao teamed up with partners to open Shake. 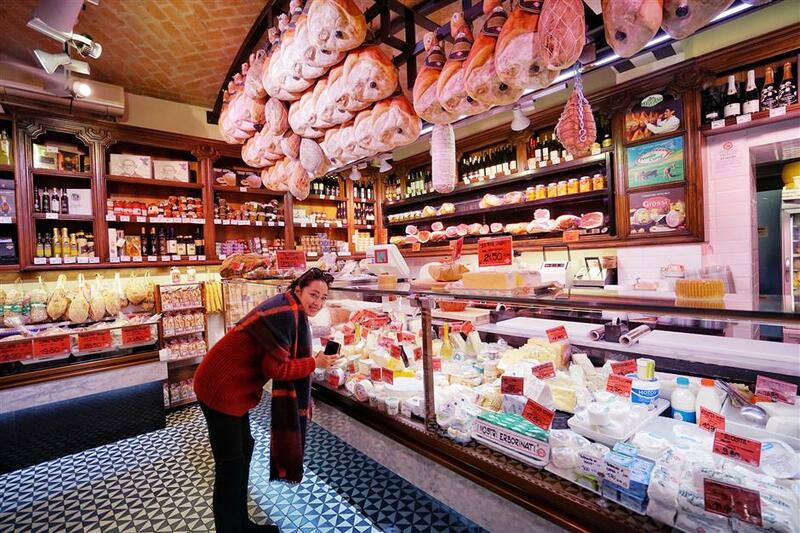 She takes care of the food and beverage part while the partner manages the live music performances. The original plan of the project was music on the first floor, dining on the second. But due to problems with the venue, they had to squeeze everything on the same floor. “My goal was to open a restaurant and I didn’t want to stop halfway, so we crammed a 12-square-meter kitchen on this level. Creating a menu that can serve 80 guests from the tiny kitchen was a challenge, as we didn’t have enough cold storage and kitchen space,” Gao said. At first, she wanted to hire a chef for Shake, but life is a strange combination of circumstances. Gao interviewed a lot of chefs, but they were either too expensive or not good enough. One month from opening, Shake didn’t have a chef or a menu, so Gao’s partner suggested she should try. 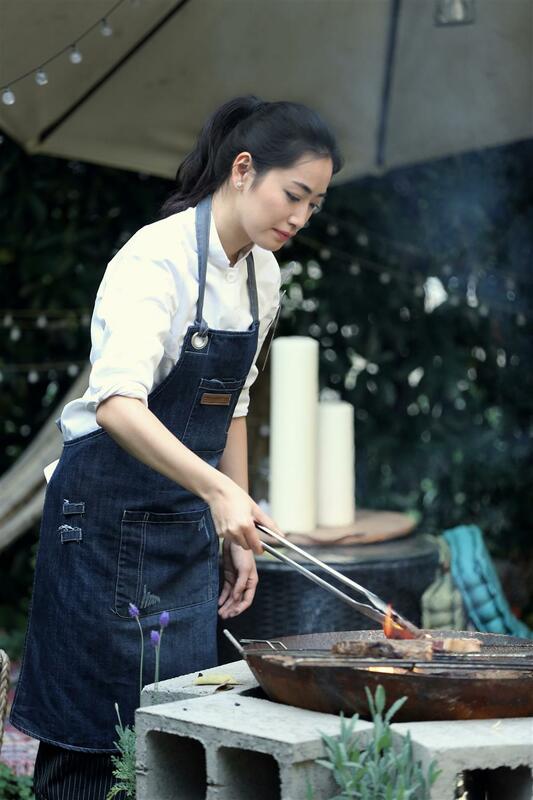 During the time between leaving professional kitchens and opening Shake, Gao ran a private kitchen that could serve 20 to 30 guests at a price of 600 to 3,000 yuan per person, so she had a lot of freedom in terms of budget to play with different ideas. Designing a menu for an average of 250 yuan per person for Shake was a challenge, as Gao couldn’t use expensive ingredients to satisfy the guests. Gao cooks fusion-style dishes that blend Eastern and Western ingredients and cooking styles, inspired by her travels. Like honey cheese tofu bruschetta, which replaces burrata cheese with tofu to create the same creamy, rich taste, as it’s difficult to buy fresh, high-quality burrata in Shanghai. And her fusion beef carpaccio with Thai lime fish sauce puts a twist on the classic Italian dish with Southeast Asian-inspired flavors. Gao travels a lot to sample different cuisines, and she said it’s crucial for young chefs to have a better knowledge than working only in the kitchen. Running a restaurant in Shanghai is becoming more difficult, as the market changes rapidly and rents are so high. “You have to keep up with the changes in the market. Now a restaurant must have location, good decor, nice food that tastes and photographs well and wine, the standard is quite high,” said Gao. With an open mind, Gao creates fusion-style dishes that blend Eastern and Western ingredients and cooking styles. When “Chef Nic,” the popular cooking series on Youku produced by famous actor, singer and producer Tse, who has been tapping into the culinary industry in recent years, first invited Gao, she refused. The director asked Gao’s friends to convince her, and her father suggested she give it a try. In the series, Tse took eight chefs around the world, from Macau, to Italy, to even a cruise ship in Norway near the North Pole, to battle in the kitchen. “The fun thing about the competition is that it put pressure on me, pushing me to think of a lot of new things, because people need pressure, I was inspired and in turn created a lot of new dishes through the journey,” Gao said. But the shooting of the show was a tiring, challenging task. The chefs often didn’t have the proper equipment and ingredients and had to argue with the director. From one standpoint, Gao said it trained her to create dishes under all circumstances. Without a culinary school training background, Gao was different from the other chefs in the show, and to some extent she was more like Tse, who’s also passionate about cooking but lacks experience. Competing with professional chefs, Gao’s advantage was creativity, but the lack of experience made completing dishes in the limited time available a difficult task, so she had to shorten the time as much as possible and win on flavor. In the last episode, before Tse announced the results, the director came to Gao and said: “You’re done, you’re gonna be third today.” She didn’t see the dishes made by the other two chefs and trusted the director, so she continued washing up. The 1 million yuan award is given to Gao in the form of investment capital, so she needs to develop a business proposal. Cooking shows like “Chef Nic” are also helping to change the Chinese public’s perception of the service and hospitality industry, said Gao. Gao Danyi enjoys drawing inspirations from traveling around.